Special notice: Effective December 12, 2018, the minimum age to access the Cove Adult pool is 21. This includes Sip Sip restaurant located at The Cove Pool. Guests under this age have access to Cascades at The Reef at Atlantis and are welcome to enjoy Aquaventure, a 141-acre water park, the refreshing pools and additional swimming areas at Atlantis and the beautiful white sand beaches. Special notice: Click “see more” for details. 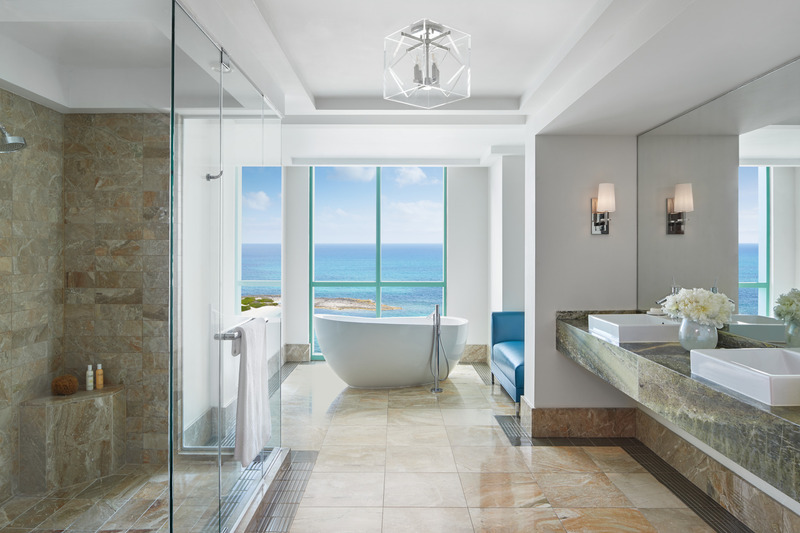 Stylish and contemporary, the oversized, open-floor-plan suites at The Cove Atlantis are inspired by the beautiful surroundings of beach, surf and ocean. Natural woods and sleek design create a relaxed and sensual ambiance. 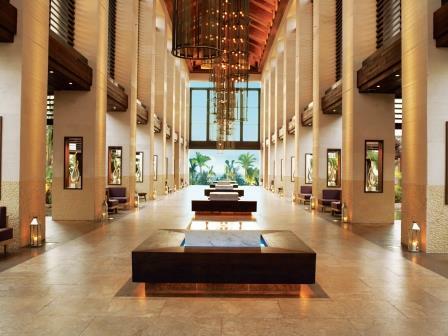 The Cove's open-air architecture creates a sensual environment. 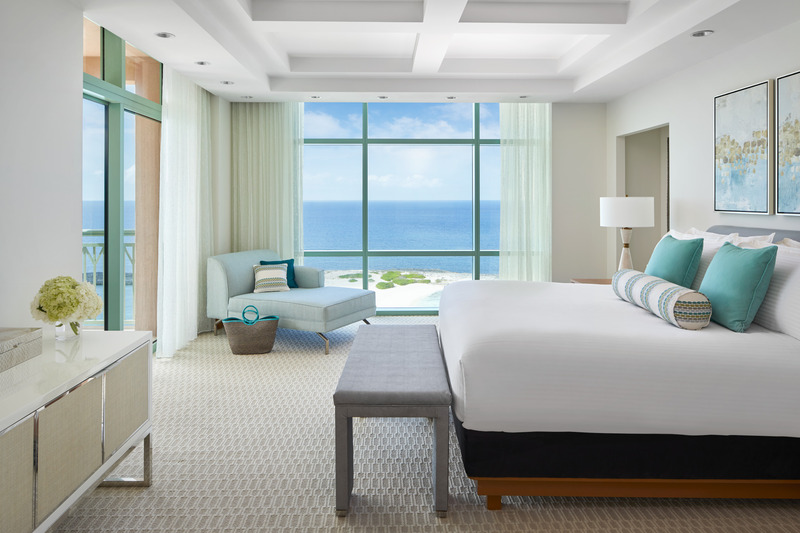 Private and exclusive The Cove is a haven amidst the activity of Atlantis. 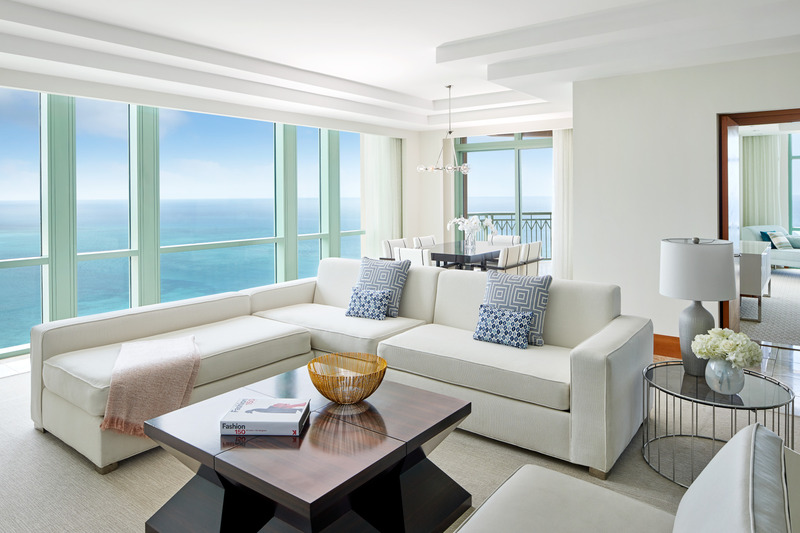 Each suite is infused with contemporary design and utmost details, featuring a full or French balcony with panoramic, floor-to-ceiling water views. 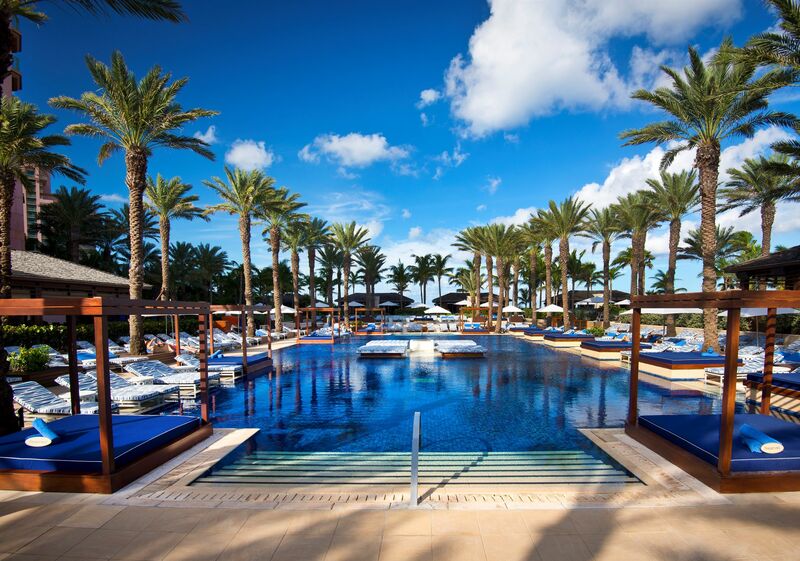 Guests of The Cove receive privileged access to Cain at The Cove ultra pool for guests 18 and older, featuring live DJs, outdoor gaming and 20 private cabanas. 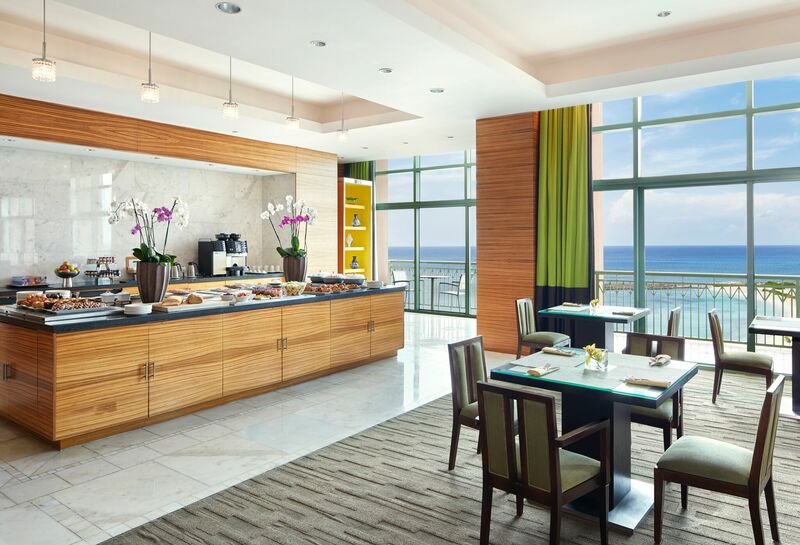 • Fish by Jose Andrés highlights the freshest possible seafood, skillfully transformed into memorable dishes using local fish and seafood from fresh lobster and crustaceans to tuna, lionfish, and Bahamian conch. • Preparations range from simple and flavorful to innovative and creative, served as small plates for sharing or larger-format dishes. 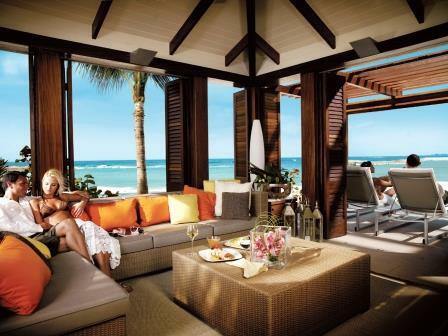 • Guests can also choose from an array of innovative, hand-crafted cocktails and wines produced in regions known for the world’s best seafood. 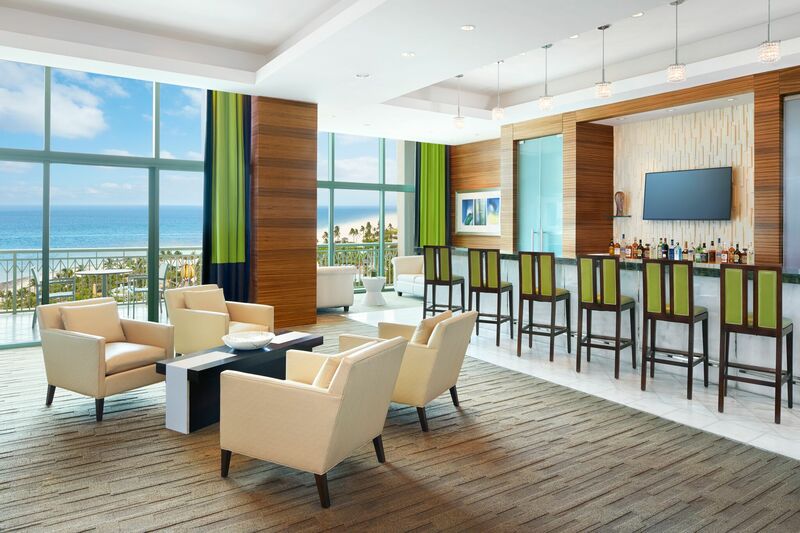 • A Mediterranean-influenced restaurant that presents guests with action cooking stations where dishes ranging from fresh fish to Churrasco are prepared on demand. • The celebrated Harbour Island eatery, is now open at The Cove Pool, with seating poolside and in the sand, on Paradise Beach. • Features the freshest, locally sourced seasonal ingredients is only surpassed by the commitment to supporting local fishermen and farmers.